← How to convert documents of Microsoft Office Excel to XBM? A bookmark is a thin marker, commonly made of paper or card, used to keep the reader’s place in a book and to enable the reader to return to it with ease. Other frequently used materials for bookmarks are leather, metals like silver and brass, silk, wood and fabrics. Many bookmarks can be clipped on a page with the aid of a page-flap. The book mark mentioned above is a real one, it is useful to mark the pages that you have covered. 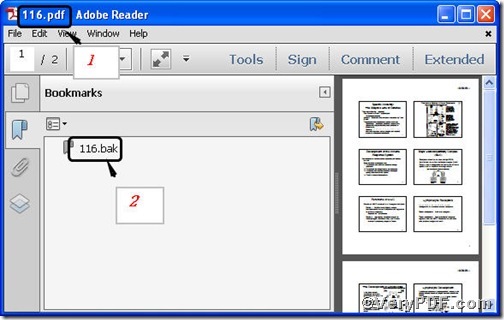 But a bookmark in pdf will picture you what the main contents of pdf are. 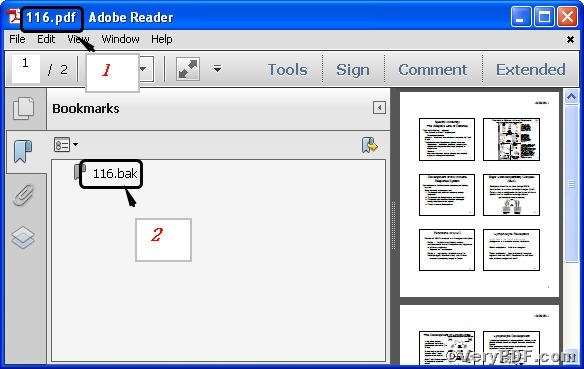 How to add pdf bookmark, you may ask, you can use PCL Converter to convert prn to pdf and add pdf bookmark at the same tine. 2) Here goes the crucial step, you try to make sure the command line you are going to input correct. -bookmark 1 is to Use short filename as bookmarks. Once the inputting is done, press “ok”, you will see prompt information as displayed in the following screenshot in detail. Open your file to check if prn has been converted to pdf file and what the bookmark is? 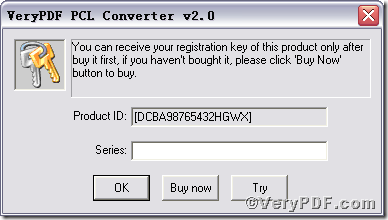 In a word, it is effective to use PCL Converter command line to convert prn to pdf and add pdf bookmark. 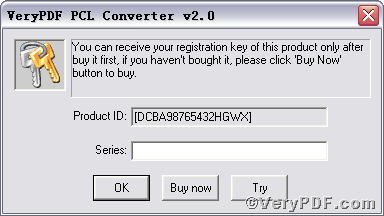 If you want to get more information, you can read VeryPDF PCL Converter user manual or just visit www.verypdf.com. This entry was posted in VeryPDF Blog and tagged add PDF bookmark, command line, PCL Converter command line, prn to pdf. Bookmark the permalink.